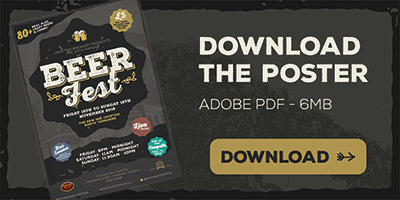 Beer Fest 2018 is coming! Planning is currently under way for the 24th (yes, 24th!) 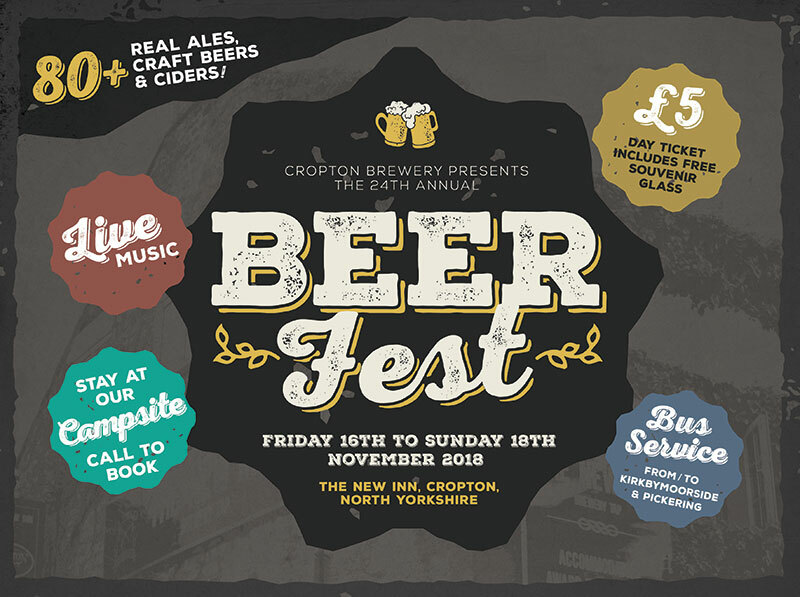 Cropton Beer Festival, which will take place between Friday 16th to Sunday 18th November. If last year is anything to go by it will be a fantastic event with our large marquee turned into a beer lover’s paradise. This year we will have over 80 Real Ales, craft beers, traditional ciders and lagers available all weekend. Day tickets are just £5 and include a free souvenir festival pint glass! To make the most of the weekend why not stay with us? Accommodation is available at in the pub, either bed and breakfast or in our self-catering cottage. Due to limited availability, booking is advised. We also provide camping, motor home and caravan space just across the road from the brewery and festival (what could be better!?). Please get in touch to book your space at the campsite. As well as the flowing ale we will also have live music every day. We will post details about this years bands soon. And, as beer is best accompanied by food we will also be serving traditional pub grub throughout the weekend. If you want to know anything else about Beer Fest at The New Inn, Cropton please phone us on 01751 417 330 or email info@newinncropton.co.uk. As usual, we will be providing a minibus service to and from Pickering and Kirkbymoorside on both Friday and Saturday. We will post the timetable on this page as soon as we know the exact schedule.